Set in a fictional Ozarks town, Three Billboards is about a mother sets up three billboards on a country road to call out the small town police who haven’t solved her daughter’s murder. She clashes with members of her community over the way it’s been handled while also trying to find the killer. Frances McDormand stars alongside Caleb Landry Jones, Woody Harrelson, Sam Rockwell, and Abby Cornish. Sylva’s Main Street was used for much of the filming. Caroline Eubanks is a travel blogger and freelance writer from Atlanta, Georgia who has also lived in Charleston, South Carolina. Her stories from the South have appeared in National Geographic Traveler, Afar, Thrillist, Roads and Kingdoms, and BBC Travel. 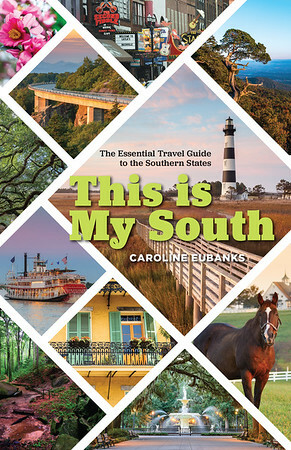 She shares a love for all things South: glass bottle Coca Colas, chicken and waffles, a good local craft beer and gatherings of friends and family. You can read more of her writing on her blog, Caroline in the City.